Tree Druid 1 is a mixed media by Diane Sellers which was uploaded on January 13th, 2010. 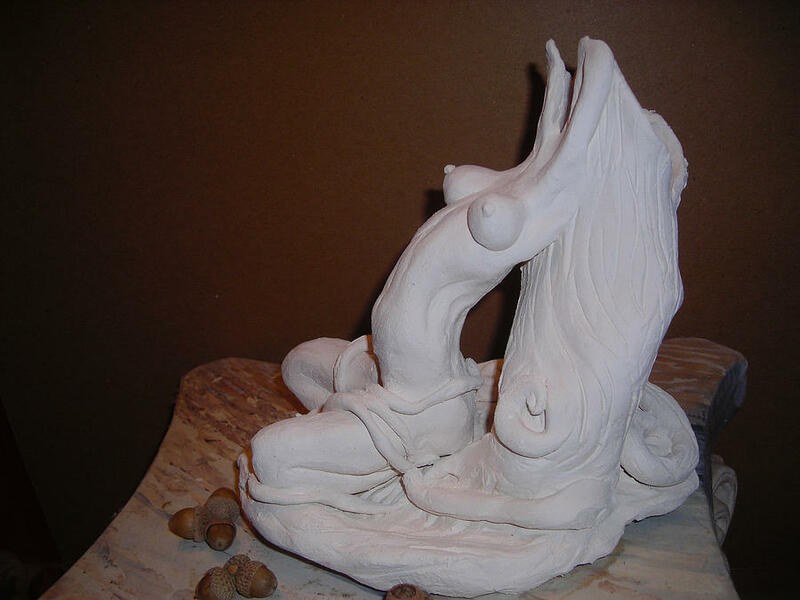 I love to sculpt woman emerging into trees,, becoming tree spirits,,LOVE IT!!! This picture shows the piece before I painted it,,,This recently sold to private collector here in the U.S. ,, I have a gallery in Israel interested in showing these but never seem to get enough to show,,they sell FAST..If interested email me..this one is a small one ,,they usually cost around 250.00 american dollars...angeliciousart@yahoo.com or moongoddess7@leadhill.net for info! There are no comments for Tree Druid 1. Click here to post the first comment.